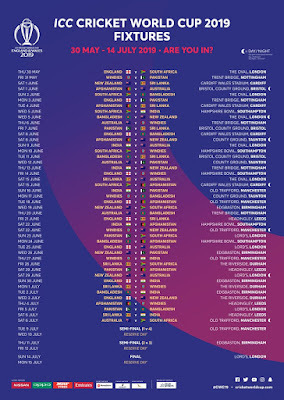 Start bracing yourself for the biggest cricketing event – ICC World Cup 2019 – as the International Cricket Council has released the full schedule of the tournament to be played in England and Wales from May 30 to July 14. The biggest cricketing fair will begin with hosting England team locking horns with South Africa at The Oval ground. 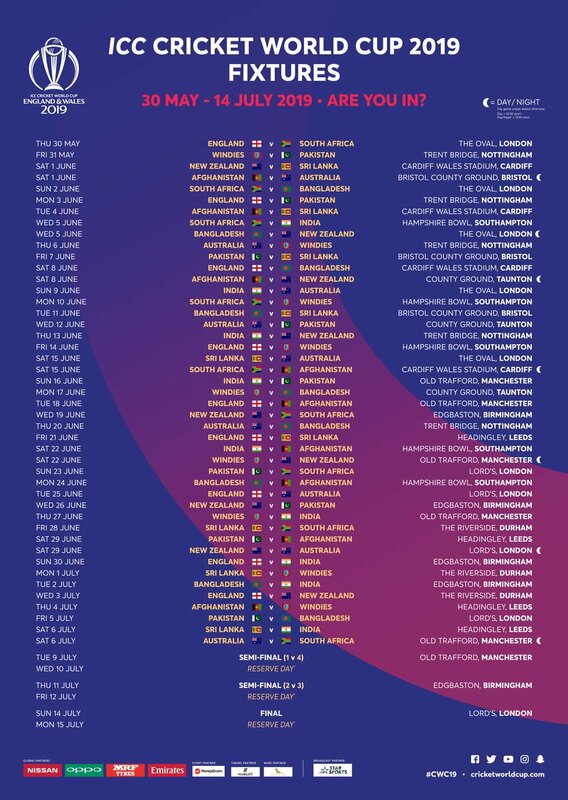 Defending champions Australia will play their first match against Afghanistan on June 1 in Bristol, while India will play its first against South Africa at the Hampshire Bowl in Southampton. The India vs Pakistan match will be played on June 16 at Old Trafford in Manchester. A total of 48 matches will be played in the tournament, of which 45 will be in the group stage. Each team will play nine group matches and the top four will qualify for the semifinals. This format was last followed in the 1992 World Cup which was won by Pakistan.